Wakeling Automotive is made up of over 300 employees across 6 locations located in both the Macarthur region and the Southern Highlands. Wakeling Automotive has 8 new car franchises across Paul Wakeling Motor Group, Camden Valley Motors and Moss Vale Motor Group and 5 used car locations. Wakeling Automotive not only specializes in automotive but also is home to Tyre Plus Campbelltown and Camden Cycles. In 2017, Wakeling Automotive was awarded ‘Macarthur’s Employer of Choice’ at the NSW Business Chamber Macarthur Region Awards. This achievement is testament to the culture and environment that is working at Wakeling Automotive. A current Motor Mechanic Trade Certificate or equivalent 3rd & 4th year apprentices are welcome to APPLY! Previous experience working with Holden, HSV, Hyundai, Ram, Mitsubishi or Volkswagen. This role attracts a competitive remuneration package, Training and career progression opportunities are also available. We are seeking a passionate automotive sales person to join our team. Join one of Sydney’s most award dealership groups and start your career today. We are Volkswagen’s 2017 Dealer of the Year and Hyundai’s 2017 Platinum Dealer. This role attracts a Competitive Remuneration Package including retainer and commissions. A company vehicle car or allowance is also offered for the right applicant. Training and career progression opportunities are also available. Previous experience working with Holden, HSV, Hyundai, Mitsubishi, Ram or Volkswagen. Employee recognition and awards for tenure/ years of service. Performing PD mechanical inspection & Accessory fitment across the range of premium luxury vehicles. A current Motor Mechanic Trade Certificate or 4th year apprentices are welcome to APPLY! Prior work in a PD department, or previous workshop experience. Experience and knowledge working with Volkswagen vehicles. This is a unique and dynamic opening for a savvy sales professional to join an award winning team and to forge a long term career working for an employer of choice. Reporting directly to the Sales Manager, this role will include managing enquiries from internet leads, phone and walk ins as well as prospecting for further lead generation. Other duties also include maintaining showroom display and presentation as well as retention of existing customers. It is vital the candidate can work effectively in a team environment, as workplace culture is very important to the success of the dealership. Automotive sales consultant experience preferred but not essential. There is a current vacancy for the role of 'Yard Person' to join Paul Wakeling Holden. Reporting to the New Car Manager, the successful candidate will be motivated and a cooperative team member with the initiative and reliability to work unsupervised. This role would best suit a local resident of the Macarthur community, as well as someone with an interest in the automotive industry and a current valid manual driver's license is a must. Whilst previous experience in the automotive industry is highly desirable, it is not essential. 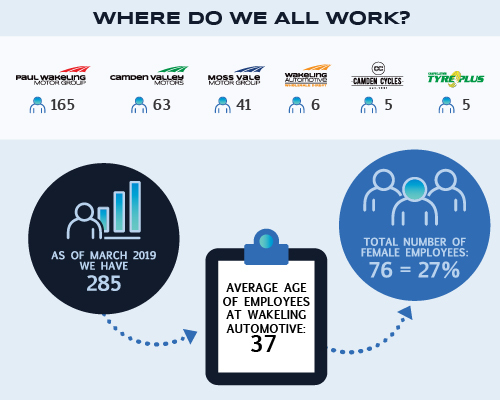 Wakeling Automotive is made up of 300 employees across 6 locations located in both the Macarthur Region and the Southern Highlands. Wakeling Automotive has 8 new car franchises across Paul Wakeling Motor Group, Camden Valley Motors and Moss Vale Motor Group and 5 used car Locations. Wakeling Automotive not only specialises in automotive but also is home to Tyre plus Campbelltown and Camden Cycles. In 2017, Wakeling Automotive was awarded “Macarthur Employer of choice” at the NSW Business Chamber Macarthur Region Awards. This achievement is testament to the culture and environment that is working at Wakeling Automotive. We are looking for a dedicated and highly motivated individual to join our warranty team as a junior warranty Clerk at Wakeling Automotive. You will be reporting to the Service Manager and will be learning the systems for 7 manufactures. You will be assisting the warranty team while learning and seeing how to maximise warranty claims while also ensuring the dealership remains audit proof. Previous experience working with Holden, Hyundai, or Mitsubishi. We are seeking a passionate automotive sales person to join our team. Join one of Sydney’s most award dealership groups and start your career today. This role attracts a Competitive Remuneration Package including retainer and commissions. A company vehicle car or allowance is also offered for the right applicant. Training and career progression opportunities are also available. Previous experience working with Holden, Hyundai or Mitsubishi. Previous experience working with Holden, Mitsubishi, Nissan, Suzuki or Volkswagen. Reporting directly to the Service Manager, this hands on role will includes washing and preparing of new vehicles, applying exterior & interior protection products.